Nature’s recyclers, known as decomposers, play an essential role in nutrient cycling within our deciduous forest. Organisms such as fungi and bacteria break down humus (dead or decaying matter) on the forest floor. Through this process, fallen logs and deciduous leaves are returned back into the ecosystem, enriching our soils with nutrients, and ensuring the future growth of plants. This fall at the Greenacres Water Quality Education Center, we’ve experienced abundant rainfall and mild temperatures, ideal conditions for the growth of decomposers. 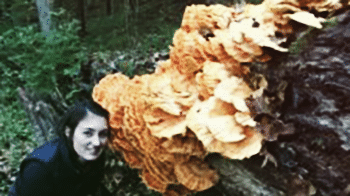 Featured in this post is a brightly colored shelf fungus known as Chicken of the Woods (Laetiporus sulphureus). This mushroom is prized as a local favorite among edible mushroom enthusiasts. Several pounds of this tasty mushroom can be found growing on a single log. Over time, this mushroom will release millions of spores into the air. Spores that land and germinate on a neighboring substrate complete the lifecycle, growing another generation of nature’s recyclers. This fungus is just one of many different types of decomposers that will grow on this log, slowly breaking it down over the course of many years. 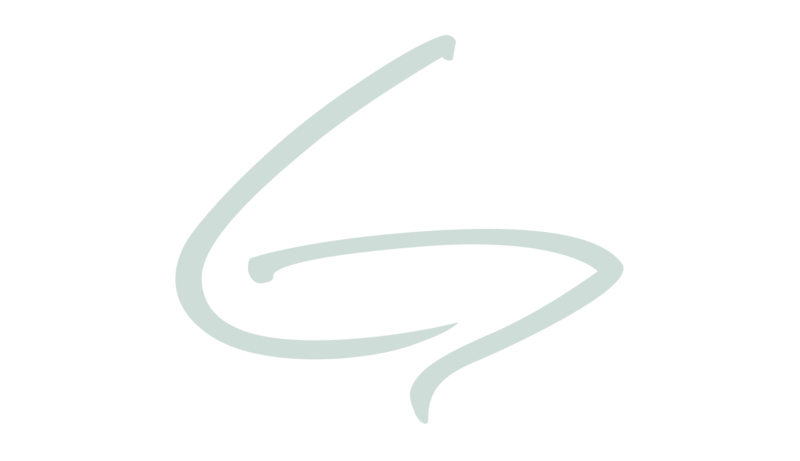 Take a peek around our area and you may notice some evidence from our past. Ice age plants are among us and have persisted over the past 10,000 years since the last glacier left Cincinnati. Many of these plants hit their evolutionary prime during the beginning of the Cenozoic era when mega-fauna, which includes mammoths and giant sloths, roamed freely across North America. The fruit attracted these very large animals that would then eat it whole, travel very far distances and go to the bathroom, leaving the seed to grow in a new place with a bit of natural fertilizer to help it along. However, many of the plants that relied on mega-fauna for dispersal went extinct at the end of the Ice Age. That being said, there are a few that have persisted despite the changes in environment. This type of plant is called an evolutionary anachronism, meaning it is out of place in its current time period. 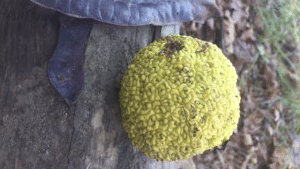 Plants like the Osage-orange tree, with its large “monkey brain” fruit found a way to survive despite the fact that there are no animals that can eat and disperse it that way it was intended. Other plants like the Honey Locust, with its large seed pods and huge thorns are remnants of a time when the tree needed to protect itself from the huge animals who brushed up against them. These trees help to remind us of our history and reinforce the fact that the only thing that is constant in our world is change.